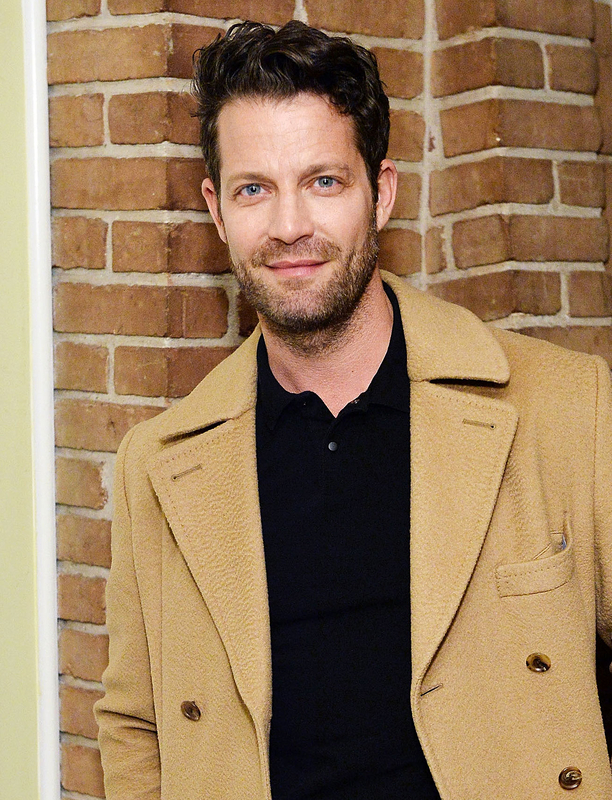 Interior design pro Nate Berkus, who launched a collection of roller shades for The Shade Store, curates a collection of facts for Us. 1. I grew up in Minnesota, and to this day, Dairy Queen remains one of my all-time favorite food groups. 2. Before we had even met, I used to watch my husband, Jeremiah Brent, on The Rachel Zoe Project and wish I had hair as perfect as his. 3. My first car was a Saab; I was 18 and thought it was the coolest thing ever. 4. I recently hosted a vintage jewelry sale at my friend Irene Neuwirth’s store in L.A. If I wasn’t an interior designer, that’s what I would love to do. 5. I travel all the time and never check luggage. It saves me a ton of time. I’ve got packing down to a science. 6. My husband and I got engaged in Peru. 7. I’m a double Virgo and obsessed with organization. My idea of perfect joy is in the pantry or linen closet with a label maker. 8. My dream design project would be a super elegant ­version of Narnia for the Obama family, dogs included. 9. I read a lot — at least two books a week. I just started a monthly roundup of my favorites on NateBerkus.com. 10. I’ve had my design firm for 21 years. How is it possible for me to be old enough to have had a company for that long? 11. I binged Downton Abbey. That house and those one-liners are priceless! 12. My grandfather was a pilot during World War II. 13. My husband and I have a rescue dog named Tucker, and we take any opportunity we can to support the cause. PAWS, a no-kill shelter in Chicago, should be a model for the country. 14. My 2-year-old daughter, Poppy, is obsessed with American Girl dolls. I used to walk by the store and think, “Those poor parents.” Now I’m one of them. 15. I lived in Paris for a year and speak French. 16. I’m the reigning diaper king in the Brent-Berkus household! 17. My collection at The Shade Store was inspired by my travels. I bring textiles back from everywhere I go. 18. I’m obsessed with ­Realtor.com. It’s a problem. 19. Rachael Ray has tried to teach me to cook about 100 times. I still can’t boil an egg. 20. As a teenager I worked at the National Sports Collectors Convention, which my father cofounded, and met all the star athletes of the ’80s. 21. I have a fear of heights. And snakes. 22. I’ve been going to the Alisal Ranch in Solvang, California, every summer for 30 years. 23. I am very impatient. I hate waiting. 24. I have serious karaoke skills and once sang Warren G’s “Regulate” onstage at a Target corporate event. 25. “When someone shows you who they are, believe them.” I live by this Dr. Maya Angelou quote. Thanks, Oprah!